Property 9: 'Otter Cottage' Riverfront/Trailside Murphy Cabin! Property 11: Relax in Turkey Creek Acres on the Nottely River!! Property 19: Mountain Retreat with Amazing Views! Property 21: 'Hidden Hollow' Murphy Cabin on Nottely River! Property 26: Waterfront getaway on Hemptown Creek. Property 27: Couples Retreat with Incredible Mountain Views! Property 43: The perfect vacation cabin for families. Directly on the river. 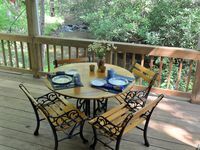 Property 45: Toccoa River Valley Retreat, Private Dock, Great Fishing, Relaxing Setting! 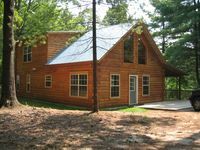 Property 48: Blue Shutter Cottage at Bear Paw - Great Mountain Getaway!